In preparation for our next Candyology 101 recording, I grabbed a few different flavors of Mike and Ike candies from the Dollar Tree, which carries a pretty wide variety of flavors. I'm a sucker for cute retro stuff, and my mother loves cotton candy sweets, so picking this one from the lineup was a no brainer! The packaging is purposefully yellowed in an attempt to make the box look older and vintage-y, which I like, the the overall design has a simple, slightly creepy vibe to it. Well the only really creepy thing about it is that little cotton candy clown mascot in the lower right corner. It has those big sad eyes that were popular in the 60's, and everything about it is just...creepy. Now the funny thing about this vintage box is that it's completely new. This isn't a re-release of a retro design they used to have or anything. 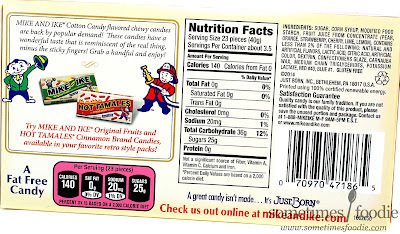 It's new and it's been created to look like some kind of vintage throw back design, similar to what the Wonka candies have been doing the last few years. Only fake! The original cotton candy flavored Mike and Ikes were released in the early 2000's with a very 90's-2000's looking design. So I find this kind of impressive. If I didn't know any better I would have thought this was a real vintage design brought back from the candy packaging graveyard. 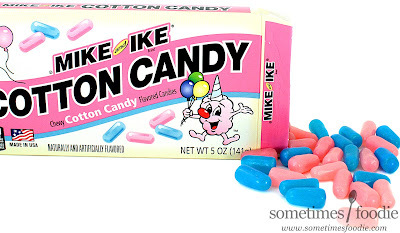 Not bad Mike and Ike! Even though I find the mascot kind of unnerving, the rest of the design and color choices are really charming and playful. They did a great job! Inside the box we have two colors of Mike and Ikes, a baby pink and a much brighter and bolder blue. Unless I am going crazy (which is entirely possible), I'm pretty sure both colors taste the same. I closed my eyes and ate several ones in succession and couldn't tell the difference. These things taste pretty darn accurate! They're sweet and sugary with that delicate strawberry-like note that a lot of carnival and boardwalk cotton candies have. Plus the gritty texturing from the panned coating adds to the overall experience to make things feel even more authentic. 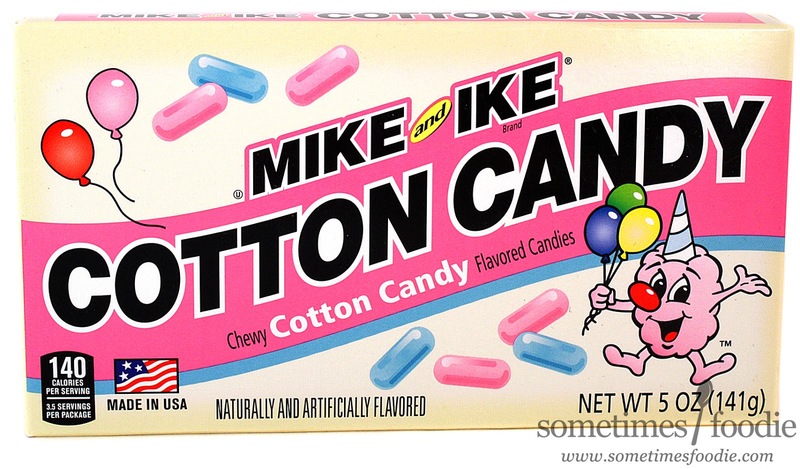 Now, if you just pop these into your mouth and crunch away, the flavoring seems a lot weaker. 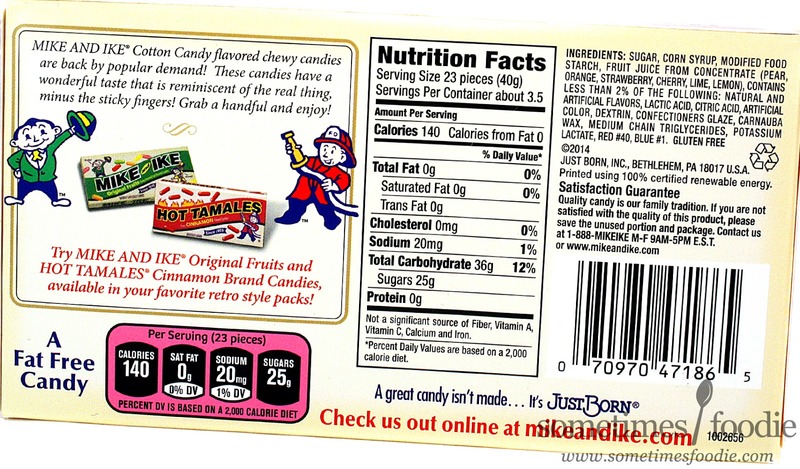 To get the most cotton candy flavoring from these candies you need to eat them slowly and savor them. The longer you let that sugary outer layer dissolve, the more authentic your cotton candy flavoring will be.